I call it the Blank Page Syndrome. It’s when you have to write something, and you know it will require thinking and work. Even if the topic is something you enjoy–such as me writing blog posts–there’s still that reluctance in the back of your mind. It would be easier to check social media, play another game of ToonBlaster, or find someone to chat with. Our students have Blank Page Syndrome, too, and who can blame them? In fact, writing is more daunting to some of them. And the longer the assignment or project, the worse it can be. To help students overcome this first step, we have Word Count Challenges. On word count challenge days, the goal isn’t to write beautifully; it’s to write prolifically. I start by challenging students to put away their perfectionism–first drafts are about getting words and ideas down, not making each sentence perfect. Also, I encourage them to close any tabs of temptation–social media, email, prom dress e-boutiques–and focus on the task at hand. Then they write to a goal. Many days, it’s a simple 100 word goal. My mantra is “the first 100 words are the hardest.” Whatever big task we’re working on, the hardest part is getting started. Once we’re going and we’re in Flow (as coined by Mihaly Csikszentmihalyi) then it’s much easier to continue the task. Granted, it’s a bit of external motivation. But what do we do on big projects? We set mini goals, and when we reach those goals, we often reward ourselves. For example, after I comment on five student essays, then I get to play Clash Royale for ten minutes. 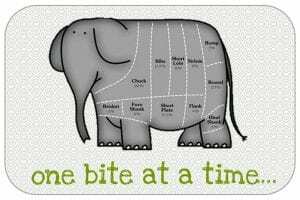 Or eat a brownie. Or take a walk. You can also add another step if you want to focus on student goal setting. Have students set their own minigoal for the day. Maybe it’s 50 words. Maybe 200. Or maybe it’s finding five sources. 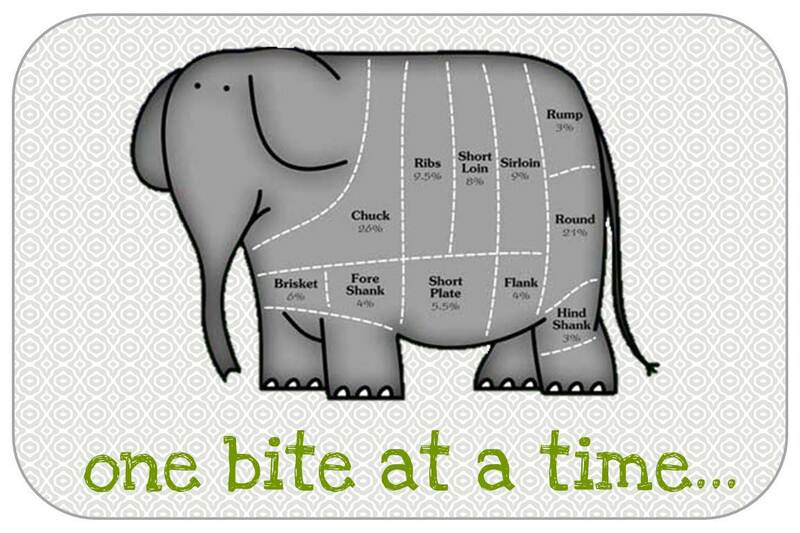 Doing this teaches our students what most of us already know: The way to eat an elephant is one bite at a time. 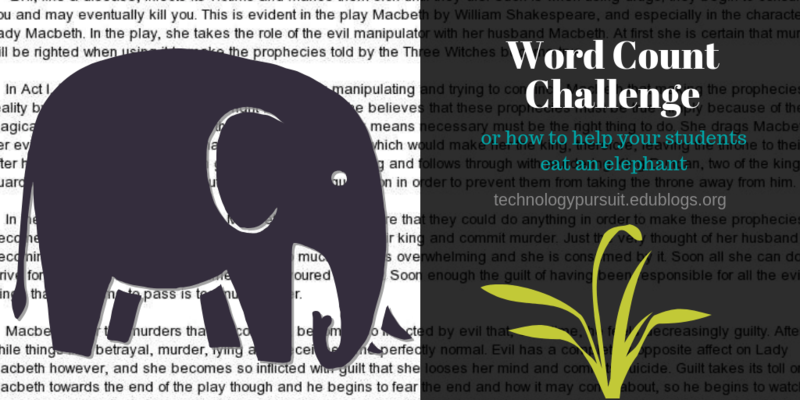 Hosting a Word Count Challenge is one way to help them with that first bite. I’ve been on hiatus for a few months as I coached our high school speech team. As I do most years, I have the best of intentions to keep posting during this time, but I always underestimate the amount of energy speech season requires (typically leaving me in zombie mode by the time I arrive home). I’ve also been doing a LOT of reading of research associated with my doctoral program, and every once in a while, something hits me. Today, it was a big hit; it’s called third space. 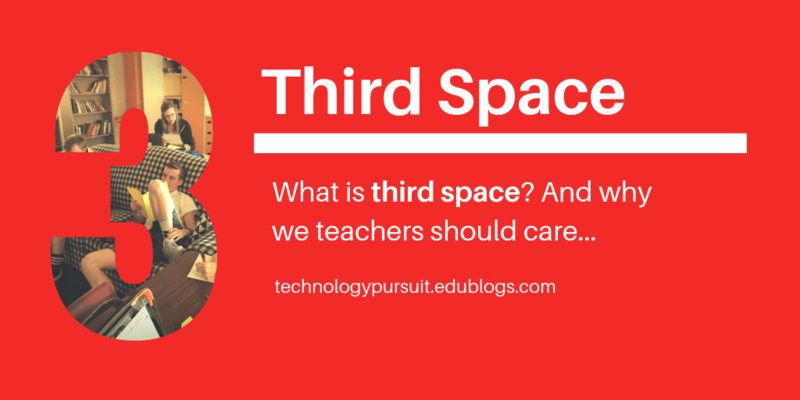 This is the hybrid space in the doorframe of your classroom, in the hallway, or on the fringe of your classroom. It’s where you and your students communicate and interact on a more social level before class or before the bell rings. And according to Deborah Bieler, it’s a vitally important (and oft overlooked) opportunity to build relationships with students. In her book The Power of Talk, Bieler discusses how our interactions with students each push toward attrition or retention of a student. Most of the time, we think about teacher/student communication as a formal exchange during class time or in conferences. However, Bieler points out that the quality of our interactions in third space can be just as essential in building a relationship with a student and ultimately building that student’s desire to stay in school. There have been years where I’ve tried to teach to the last minute, or keep students working until the last minute. Even two weeks ago, I wondered if I should start reading poems or a book aloud for the last few minutes of class. These aren’t bad ideas, except that I now realize what the loss would be: spending this third space time with my students. In my school, the students tend to line up near the door at the end of the period. It’s the only high school I’ve taught at where this happens. Also, it’s a pet peeve of mine. But lately, I’ve started to use the time to stand there with them. I’ve used the opportunity to strike up conversations–What are you doing this weekend? How’s track practice going? How’s the new car treating you? And when we have those conversations, we can all relax. We’re not talking about assignments or writing or what we’re doing in class tomorrow. Instead, we’re connecting on a personal level. No longer will I feel guilt if I don’t start class immediately with the bell because I was busy talking to students, nor will I feel bad if we end up chatting the last few minutes of class. I’m busy building relationships, which is the #1 job any teacher should have. 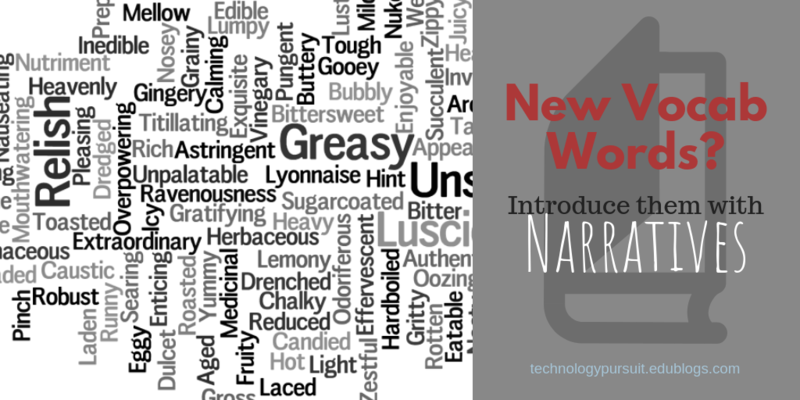 No teacher would argue the importance of using context clues to understand new vocabulary. What’s harder is how to teach it. One way I’ve approached it is the use of narrative. To work on students’ context clues, I write a story that includes all twelve of the words. I also include each student’s name within the story, further motivating them to read on. Usually, I add in our principal’s name (who often plays the villain or the token death) or other teachers. Check out our most recent story, Siren Song! As students read the story, they write down the vocabulary words (which are bold and underlined), and then try to determine the definitions based on context clues. They also write or draw an example. All this they do on a strip of cardstock, which we dub our “vocab bookmarks.” After they finish, I look them over and correct any misconceptions. Finally, they use the bookmarks in their independent reading books for the rest of the month. Students are also allowed to use their bookmarks during our daily challenges (usually a Quizizz or vocab game), and they gradually wean themselves off their bookmarks through the month. They’re also allowed to use the bookmarks on their assessment (which is using the words in writing), though after four weeks of practicing the words, they rarely need them. How long does it take for me to write a story? About 30-45 minutes. After one story, I make a copy for other sections and change the names. Plus, the stories are then easy to tweak and reuse in following years. This is an activity that works great on days that you have a substitute or a block of time for independent work. Plus, it’s so much fun watching the kids laugh with each other and search out their own names! One of the hardest parts of teaching writing is getting students to revise. For some, completing the rough draft is the milestone. For others, checking spelling and punctuation is what they consider revision. When I read our latest round of papers, I realized that students needed different types of revision in their papers. 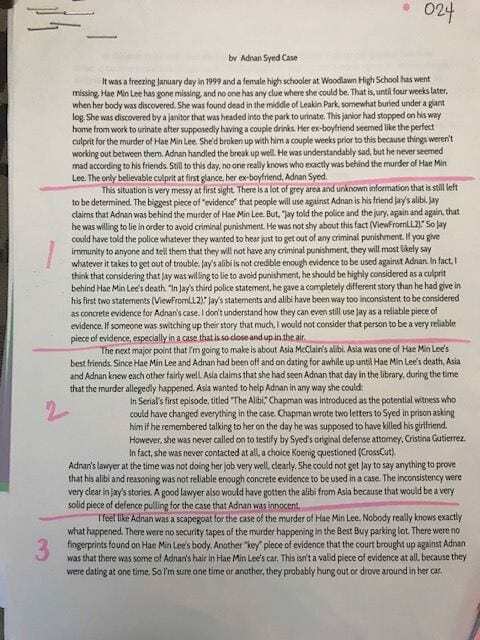 Some needed some deeper work, such as adding sources or re-emphasizing the thesis at the beginnings and ends of their main arguments, while others were ready for more stylistic work, such as making wording more concise or strengthening verbs. 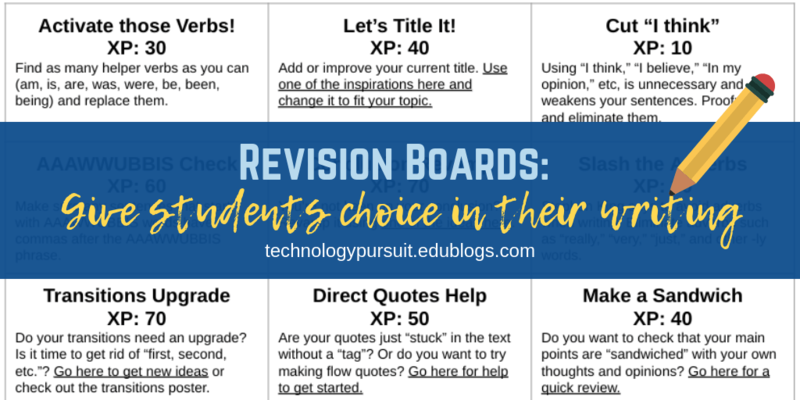 To allow students to pursue their own personalized path of revision, I created the revision board. I listed nine different ways that students could revise or edit their papers. Students could choose as many as they wanted (I encouraged them to do at least three; I also mentioned on their papers which revision approaches could be especially helpful to them. 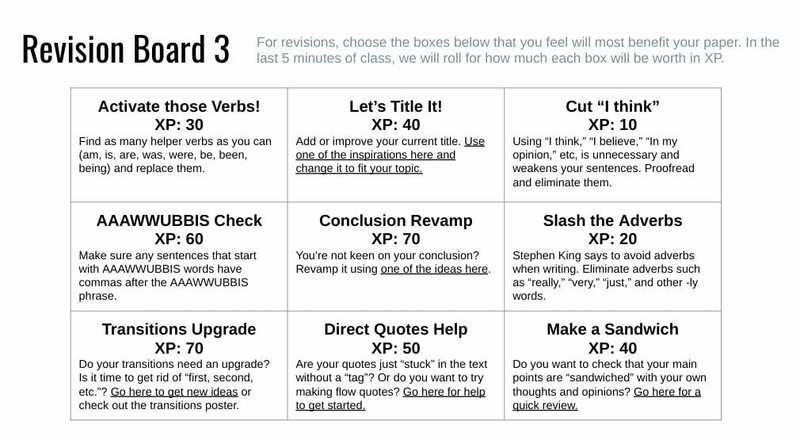 I also gave XP for each block, but I didn’t want students choose blocks based on the XP available–I wanted them to choose the blocks they felt most important to their paper. So we waited until the end of revisions to roll a 10-sided die for each square. Students totaled up their XP, turned in their revision boards, and I added them to Classcraft. Here’s the link to copy and paste the board (and to see how the rest of our unit is organized). As an English/Language Arts teacher, I don’t have a lot of coding in my classroom. We do a bit of HTML when we do Choose Your Own Adventure stories on Twine, but that’s it. This past week, Hour of Code week, I decided to offer an opportunity for interested students. 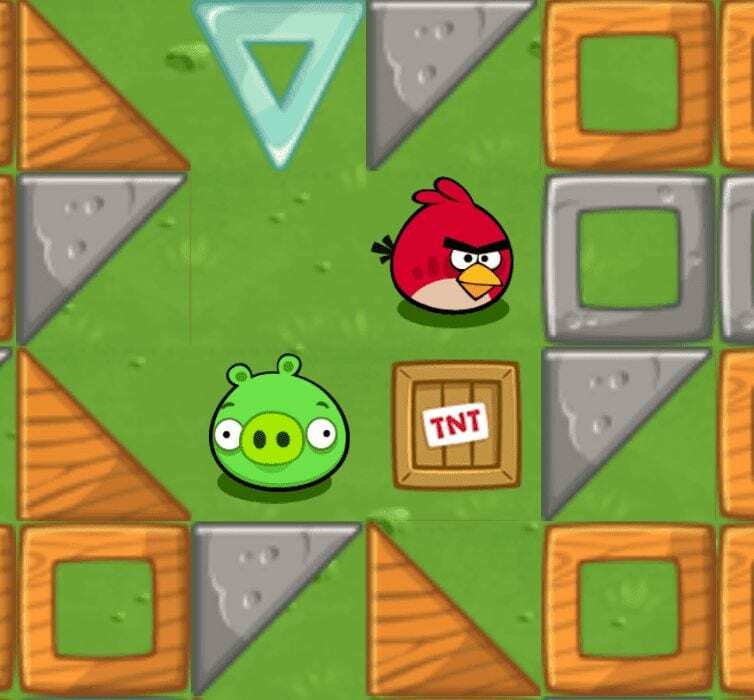 On Classcraft, I made a sidequest for students to complete a set of Angry Birds challenges on Code.Org. The sidequest served to be a perfect Friday activity for those done with their regular work for the week. In fact, one of my senior girls enjoyed it so much that she’s considering taking coding next semester. I’ve tried dozens of ways for students to peer review each other. Analog styles, such as using post-it notes or forms. Digital, online ways using special programs or comments on Google docs. 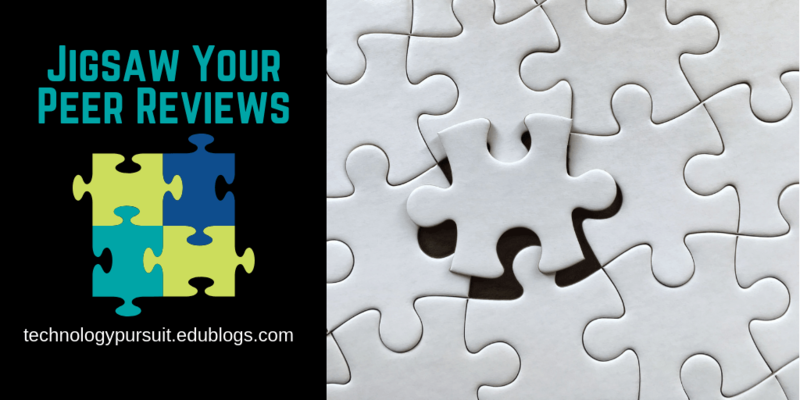 A year or two ago, I read one of Starr Sackstein’s books, where she described how she jigsawed her peer reviews, where groups focused on one specific area of a paper, such as organization, word choice, or introduction. It’s more kinesthetic. We use hard copies, and it allows readers to feel more connected. That kinesthetic feel can’t be replaced. It’s more social. Starting in groups and comparing ideas, peer feedback becomes a social activity. It’s scaffolded. We start by working in groups and then release to independent work, though conferring with partners is always allowed. It’s less overwhelming. By only focusing on one section or aspect of a paper, students aren’t overwhelmed by longer papers or papers from struggling writers. I print off all the drafts from a Google folder using Mergy to merge them together into one PDF. I give each student a secret code (like 001, 002, etc.) and write it at the top of the paper. They also use their code later when reviewing. It keeps feedback anonymous. I write the code at the top of each paper in lieu of the writer’s name. I split students into small groups no larger than four students and place each group in charge of one section. I give each group 2-4 papers. Each group member must read their assigned section of EACH paper. Then, the group’s recorder writes on the colored form the feedback that the group has for each paper. (Groups might only have one recorder, or they might take turns). This takes time if it’s done well. I don’t rush students through this. I want them to discuss these papers, the feedback they want to give, and how to tactfully give that feedback. On average, round 1 takes 20-30 minutes. Once the group has carefully discussed and given feedback to all the original papers given to the group, I tell them they can start working independently, completing the colored forms on their own. Of course, they still have their group to confer with if they need ideas or help with their paper. On the second day (this usually takes us two periods–we don’t have block scheduling), groups read for a different section than they did on the first day. Another alternative is I’ll give each group a few feedback forms of each color. Readers can simply see which sections still need read on that paper based on what colored forms are still missing (readers staple their forms to the papers when finished). Let me also mention the benefit of using different colors for each section. In one glance, we all know if a paper has feedback for all its sections or which section it’s missing. What Do I Do During the Process? I answer questions from readers. I give them feedback ideas if they’re struggling with a paper. I move papers from one group to another. 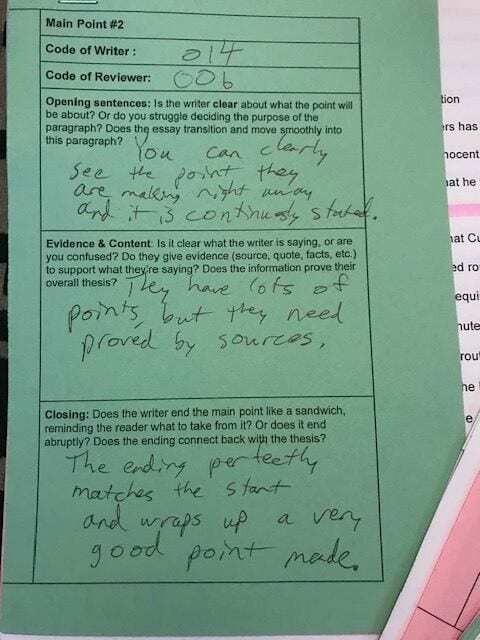 Sometimes I hand specific papers to specific readers because the reader might have a helpful background knowledge about the topic, or maybe the writer needs a “special touch” from a tactful reader. If the writer is in the same room at the same time their paper is being read, I make sure their paper bypasses their group and lands elsewhere. The Day After Peer Review! Two things. Obviously, students then receive their own papers back and have feedback from four different readers. 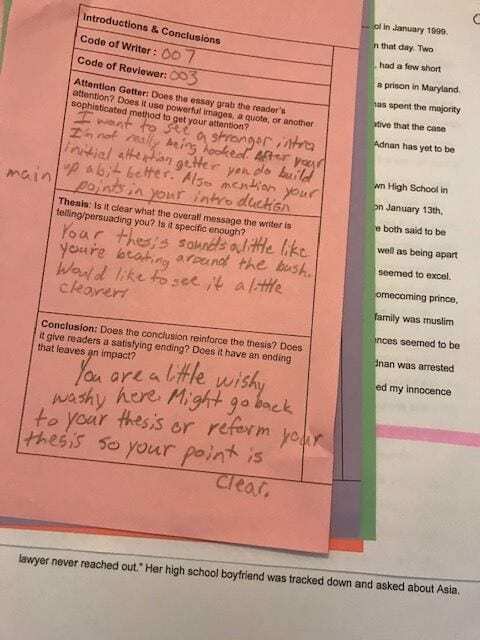 They use that feedback to revise their papers (in addition to the comments I’ve also given them–generally, I try to focus on giving students two comments that will most help their paper). Second, students then vote on their favorite feedback giver. Using a Google form, each student gets to vote on the student code who gave them the most helpful and specific feedback. Those winners are recognized in class and earn extra XP, gold, or something else in our game. I’ll admit it–this is more work than digital feedback. It takes more planning and more prep time. The result, however, is the best feedback I’ve seen in all my years of teaching. This system provides more accountability to me and to each other than anything else I’ve used, and writers take their given feedback much more seriously. The 60-90 minutes of prep time is that much time I receive back when I’m reading and evaluating final drafts. 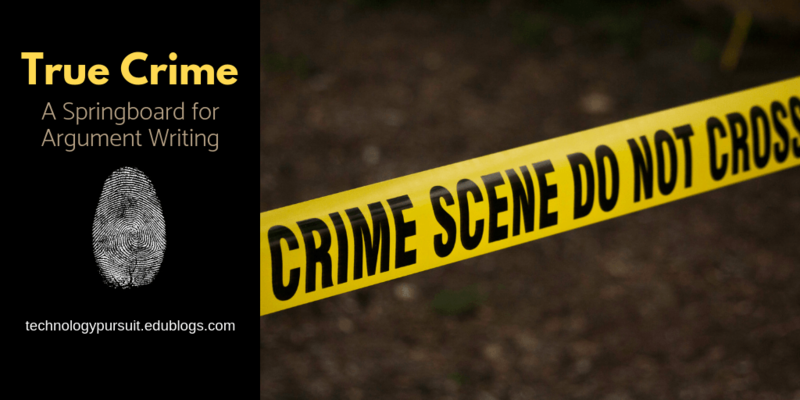 I connect to so much of what Suzy Lolley writes in this blog post. Social media makes other lives seem perfect. I’ve often been guilty of reading teachers’ books or seeing their presentations and thinking, Wow, they’ve got this teaching gig figured out. For a long time, I saw how far I still had to go compared to them. Slowly, I’ve realized that we all feel this way. None of us feel like we have it figured out. None of us will be perfect teachers. I don’t have to aim for the perfect classroom performance every day. It’s okay to be imperfect. Who’s Your Guide When Things Get Tough? This time of year can make it hard on us teachers. It gets dark early. We’ve been in school a few months, but Christmas Break is a long ways away. To help us, though, we have all kinds of people around us. Maybe we should take some time to recognize them and be grateful. Josh Stock does just that in this post below! 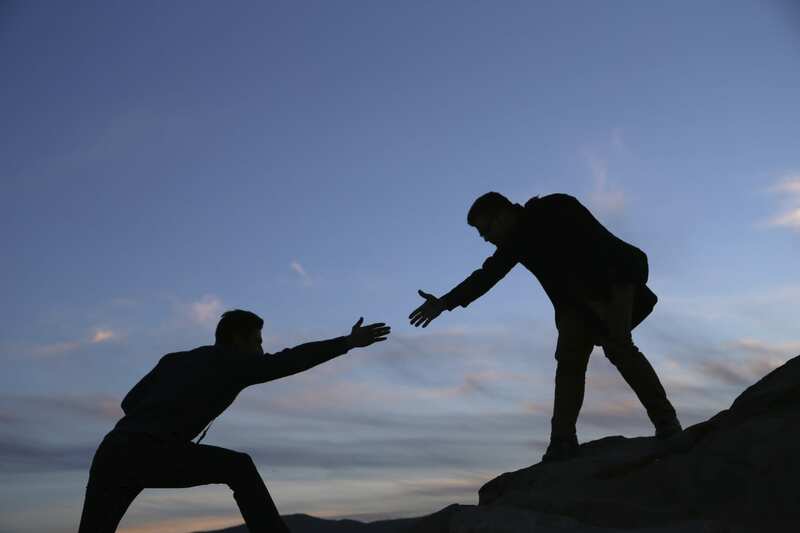 Who is your guide when things are tough? In honor of gratitude month, some friends and I decided to share posts of what we’re most grateful for. My friend Adam Powley writes about how he is grateful for the reset button. In the B.C. years of my marriage (that is Before Children) my wife and I rocked Guitar Hero. Neither of us play guitar but ability to pretend to be rockers, enjoy the music, and just be goofy with each other got us through some tough times. We were in the B.C. era because of infertility issues and jamming on together on a fake plastic guitar was one way for us to have what game designer Nicole Lazzaro called “Serious Fun”, or mind altering play. This silly game, with its cartoonish rockers and its Superstar Mode Power Up, was a way for us to escape and find a meaningful connection with each other. During one of our jam sessions one of our guests noticed that I picked up on new game mechanics pretty quickly and told me it was “evidence of a misspent youth”. I took this to mean that I had spent a lot of time playing video games in my childhood. There was a negative connotation to this but I wasn’t upset because I did play a lot of video games but I did a lot of other things too. Flash forward to marriage AD (Achieved Descendants)* and my new job as an 11th grade US History teacher and that misspent youth began to pay off when I joked with a colleague during lunch duty that school should be more like a role-playing game. This discussion led me on a journey towards gamification and game-inspired classroom designs and has radically improved both me and my students’ classroom experience. There are so many game inspired concepts that I am grateful for but I am extremely thankful for the notion of a reset button.